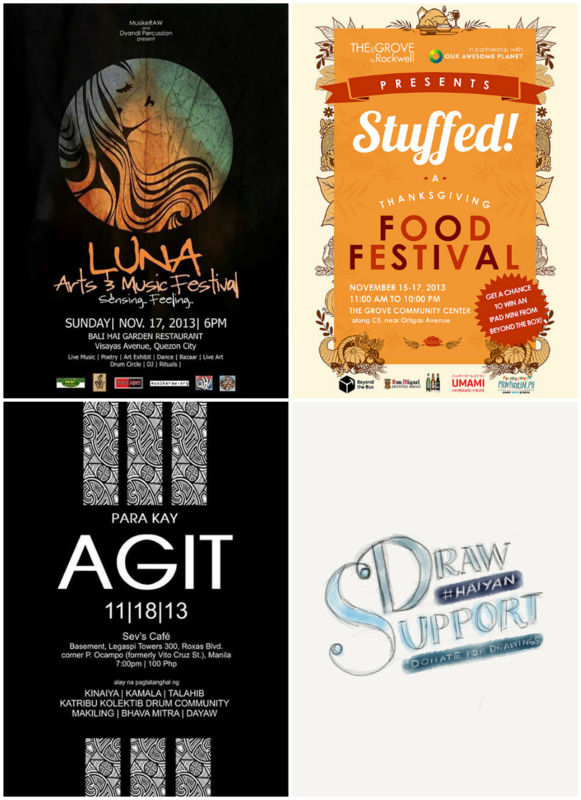 It's payday weekend for most of you people, and if you really want to make your weekend count and do something worthwhile, here are a few events happening that you could attend to extend your help to the Yolanda/Haiyan survivors. Some people ask, "Why not just donate?" Let's admit it, not everyone has the means to donate amounts of money but we have a lot of great artists brimming with talent and creativity larger than most bank accounts. And I think it's great that artists are using their talents to inspire people to give more. There are also a lot of other fundraising campaigns (volunteer work, blogging conventions, runs/marathons) on going right now that you could join to help! Here's a list of other artists, musicians and businesses you could support along with their relief operations: 1 // 2. Again, we can all help in our own little ways. Start something! 1. Luna Arts and Music Festival. PhP 60 gets you in. Organizers will be setting up a drop box at the venue so please do bring canned food, old, wearable clothes, toiletries, medicine and drinking water. Here's the official Facebook page of the event. 2. Stuffed: A Thanksgiving Food Festival. Thanksgiving is not really a Pinoy thing but why not, right? Good food with family and friends is always a good combination. Celebrate, dine and help! People are invited to bring donations, these will be given to the typhoon victims through ABS-CBN's Sagip Kapamilya Foundation and Lopez Group Foundation. More information at Anton Diaz's Awesome Planet website. 3. Para Kay Agit. Agit Sustento is the bassist for the band Kadangyan, one of the last pintados and a tattoo artist. Unfortunately, Agit, his wife and his mother did not survive the havoc of the typhoon, and his son and father are still missing. This tribute is organized by his friends to raise funds to help his family. Here's the official Facebook page of the event. This is Tarin Sustento, Agit Sustento's son. He's 3 years old. 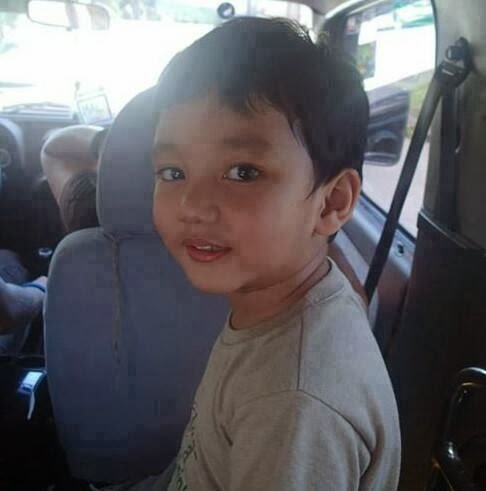 I read online that according to a family member, his father was able to put a life vest on him before he was swept away by floods so he could survive. If you have any information about Tarin, please get in touch with Genevieve Bindo at 0905-6633401 or Bibeth Lacaden at 0917-5909837. Images from Draw Support's Facebook page. If you're interested in her awesome initiative, please visit Draw Support's Facebook page.